Posted 3/26/2019 2:29pm by Dennis Skoworodko. Kale is one of our most loved veggies by our customers. I believe this is for good reason! 1. 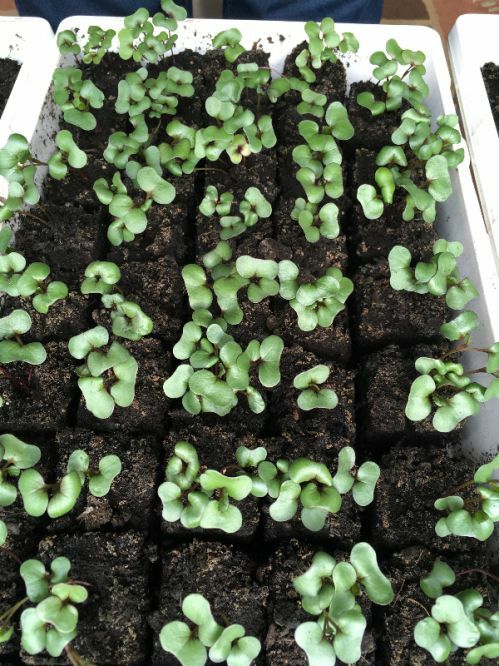 Our Kale is grown in biologically active healthy soil, and you can really tell in the taste! Bad kale tastes really bad, but good kale is a wonderful lovely flavor punch. 2. Kale is rated as one of the top foods in the world for nutrient density. 3. Kale is very versatile: raw in salads and smoothies or cooked steamed (served with lemon juice), soups and stews. Kale is a challenge to grow here in Saskatchewan. Kale is a member of the “Brassica” family of veggies or also known as “cruciferous” veggies. This family also includes broccoli, cauliflower, kale, Brussels sprouts and turnips. Brassica family are known as very healthy veggies – very robust flavors and loaded with nutrients. The Brassica family of plants are subject to the some of the same pests that attack canola (as canola is also in the same family), and because we have so much canola being grown here, there are many, many pests. 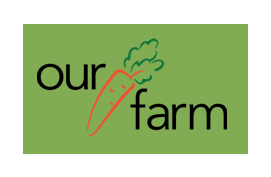 Because we believe in growing organically, we do not use insecticides to control pests. An example of a method we use to avoid chemicals is using a textile barrier to keep pests away from plants. 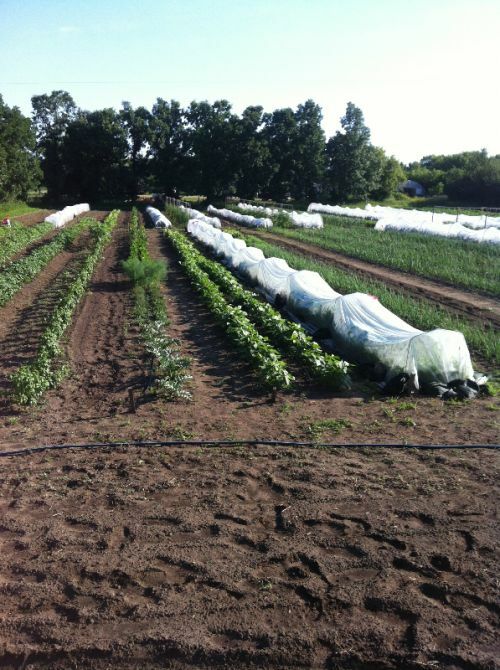 So, we can offer you fresh local Brassica family veggies without chemical sprays, we use a “row cover” that keeps out pests but allows in light and water. It is a lot of extra effort, but an effective way to protect without chemicals. We need to cover them right from the seedling stage until harvest- even a brief exposure without the cover, in our part of the world, will have the plants being eaten by the pests! So, from these little baby seedlings, beautiful heads of tasty, healthy, organic and fresh kale will grow! Grown with love and care to be chemical free! Darkibor: Very curled and ruffled green leaves. Dinosaur: This is an Heirloom Italian kale linked to the area of Tuscany. It is also known as “toscano” “lacinato” or “cavolo nero” kale. It is extra dark green in colour, with non-curled but heavily blistered (savoyed) leaves. 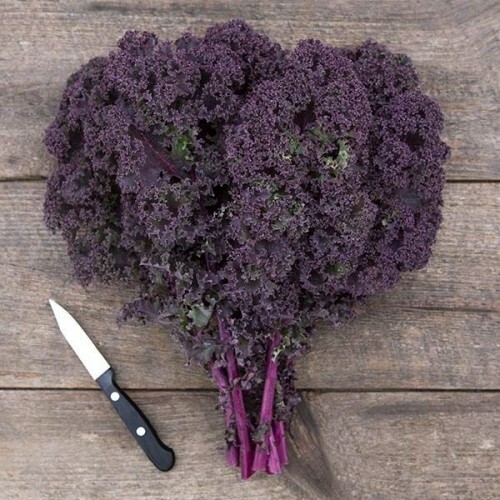 It has a rich taste and is quite tender with a softer texture than curly type kales. Redbor: Dark red leaves with green undertones. Superior flavor. We hope you will dive into the kale this summer!